Humans have 200+ bones and 650-some muscles in our body. 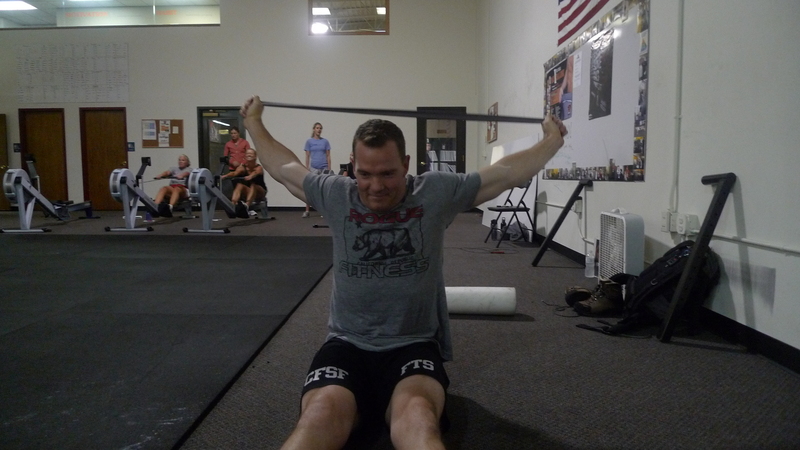 The way we move, sit, stand, WOD will beat those bones and muscles up in a major way. Muscles will become inflexible. An inflexible muscle is a clenched, contracted, restricts blood flow and limits optimal performance. And each day that goes by we will become more tight and stiff. To solve the situation start with your tightest areas and spend 5 – 15 minutes a day (which we can ALL do). If you need help…ask your coaches. We are here to help. To further educate yourself on mobility and flexibility go to the MobilityWOD blog site it will be located on our links under blog favs. 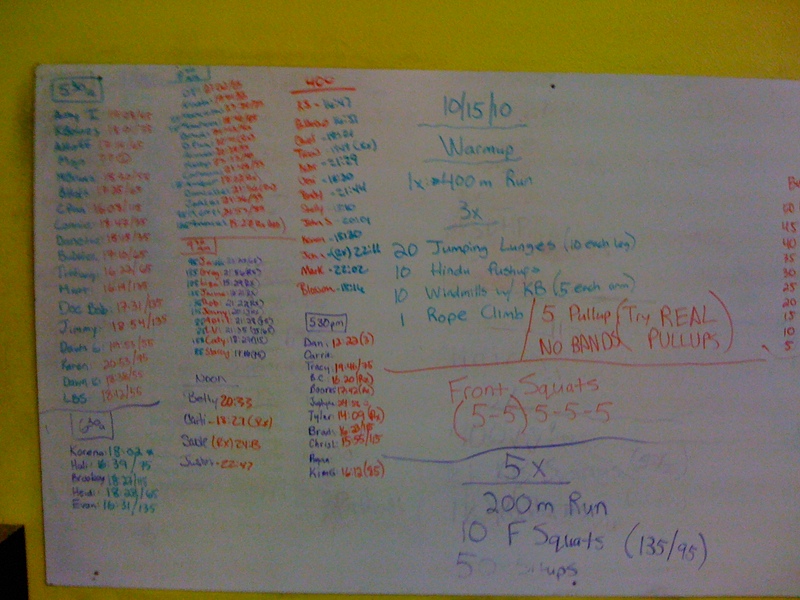 This entry was posted on October 15, 2010 at 12:48 pm and is filed under Crossfit Philosophy. You can follow any responses to this entry through the RSS 2.0 feed. You can leave a response, or trackback from your own site.